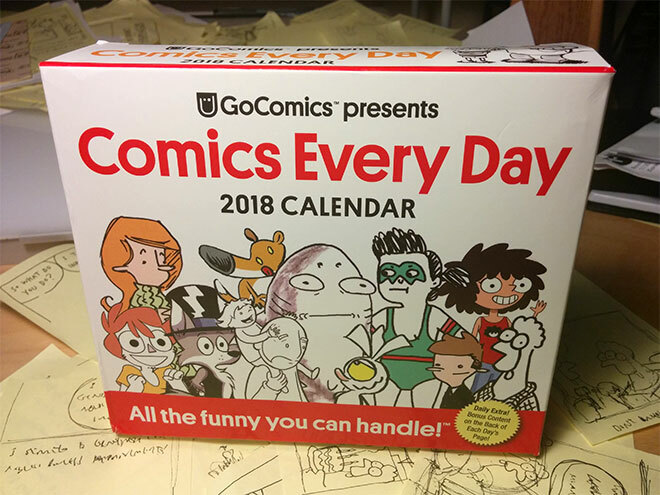 I’m in this awesome calendar of comics! About a year ago, Shena Wolf from GoComics got in touch to see if I’d like to be a part of this project, the Comics Every Day calendar for 2018! And then I forgot all about it until she sent me this advance copy! Woohoo! I’m really excited to be included in this calendar with such a talented bunch of people… there’s Jim Benton, Julia Kaye, Gemma Correll, Connie Sun, Paige Braddock, Dana Simpson, Jon Rosenberg, David Malki, Megan Dong, Lucas Turnbloom, geez just way too many awesome people to mention them all. 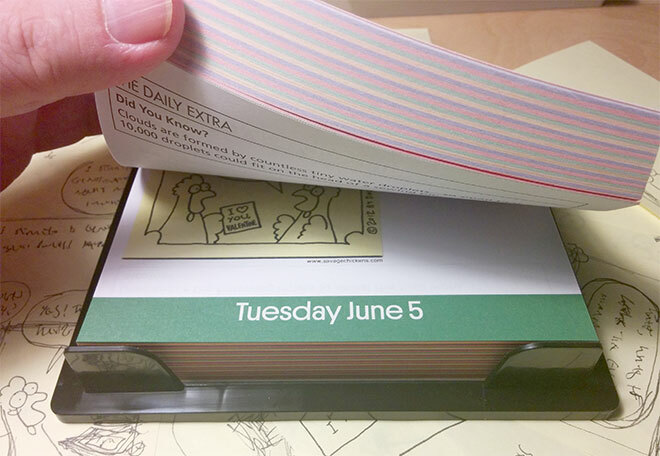 It’s a comic-a-day desk calendar, featuring 52 different artists. Comes out on Tuesday but you can preorder it now! I’m no spring chicken, but these are.